The iOS 11.3 update comes with lots of exciting changes, but it’s also brought some annoying issues we hope Apple fixes before the iOS 11.4 update arrives. Apple’s iOS 11.3 update is a milestone upgrade which means it brings more than just bug fixes and security patches. 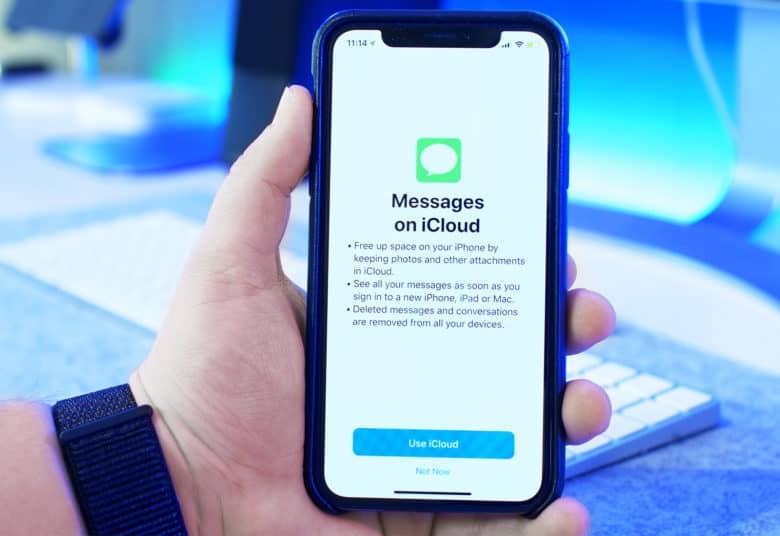 The newest version of iOS 11.3 also includes an extensive list of new features including new Animojis for the iPhone X, battery throttling features for older iPhones, upgrades to the App Store and Apple Music, and a new Business Chat for Messages. For the most part iOS 11.3 is treating our devices well. We haven’t run into severe battery drain and the upgrade is snappy on newer devices like the iPhone X and iPhone 8. Unfortunately, we’ve encountered several annoying problems on the iPhone and iPad and they’ve got us hoping for an iOS 11.3.1 release ahead of iOS 11.4. With iOS 11.4 on its second beta, it could be several weeks before we see it go live. Many believe iOS 11.4 will be released in and around Apple’s WWDC 2018 keynote on June 4th. One of the most annoying issues we’ve encountered while running iOS 11.3 is a UI issue where app icons often start floating after you open and then minimize an app. After opening and closing an app, the app icon sometimes starts floating in no man’s land, typically in the top left corner of the screen. You can get a feel for what we’re talking about in the screenshot here, taken on the iPhone X.
YouTube app icon floating on iOS 11.3. It’s starting to happen a few times a day with various apps on the iPhone X and we’ve also noticed the issue on the iPhone 7 and the iPhone 6s. We’re usually able to get the icon to return to the correct spot on the home screen by turning off the screen and turning it back on though we’ve also been forced to restart the phone. We aren’t the only ones dealing with this problem so hopefully that motivates Apple to release a quick fix inside an iOS 11.3.1 update for iPhone, iPad, and iPod touch. We dealt with this issue on several versions of iOS 10 and its returned with a vengeance on iOS 11.3. While testing iOS 11.3 for the past few weeks, several of our devices (including the iPhone X, iPhone 8, and iPhone 7) often get stuck in landscape mode. After turning the phone to landscape mode and turning it back to portrait, the screen remains stuck in landscape mode. It’s happened with several of our core apps (Spotify, YouTube, Chrome) and it’s also affecting the home screen. The screenshot you see here was taken while holding the iPhone in portrait mode. To access the phone, we had to pull up from the right side of the display rather than the bottom. Like the floating icon bug, this has been happening several times a day so we’re hoping for a fix. If you own an older device like the iPhone 5s or iPad mini 2, there’s a very good chance you’ll encounter annoying lag after you upgrade. During our week with the iOS 11.3 update we’ve noticed a ton of UI lag on the two aging devices. And unlike the last two problems, lag can be difficult to fix without a factory reset. On the iPad mini 2 we’ve encountered annoying amounts of keyboard lag, stuttering, and lag when pulling up Control Center and Notification Center. We’ve also noticed lots of choppiness when opening up folders and apps and when moving from one home screen to another. On the iPhone 5s we’ve noticed lag when moving around the home screen and when opening folders. We’ve also noticed keyboard lag and stuttering when pulling up for Control Center and pulling down for Notifications. Hopefully the next version of iOS 11 delivers a better experience. If you use 3D Touch on your devices you might run into another frustrating issue with the iOS 11.3 update. After unlocking the iPhone, 3D touch is either unresponsive, or won’t work on the first try. When using 3D Touch on the phone app to get to favorites, it sometimes won’t open at all. We aren’t the only ones dealing with this issue and the problem has apparently been around since the release of iOS 11.3 beta 3 back in February. Hopefully Apple fixes this sooner rather than later. Connectivity (Wi-Fi, GPS, cellular data, and Bluetooth) has been strong for the most part, but we’re starting to experience some annoying problems with Wi-Fi on the iPhone X. While the first couple of days went fine, we’re starting to notice frequent issues with Wi-Fi connectivity. Our Wi-Fi connections are dropping more than usual which is a problem if you’re watching a show on Netflix and you have a data cap. We’ve minimized YouTube, Netflix and several other apps and noticed the phone’s (on several different routers mind you) kicked back to LTE. We’re hoping this is a temporary issue, but it could be annoying if you’re trying to limit your (or someone else’s) data usage this month. So those are the frustrating issues we’ve noticed while running iOS 11.3 on our devices, but those aren’t the only iOS 11.3 problems that need a quick fix. 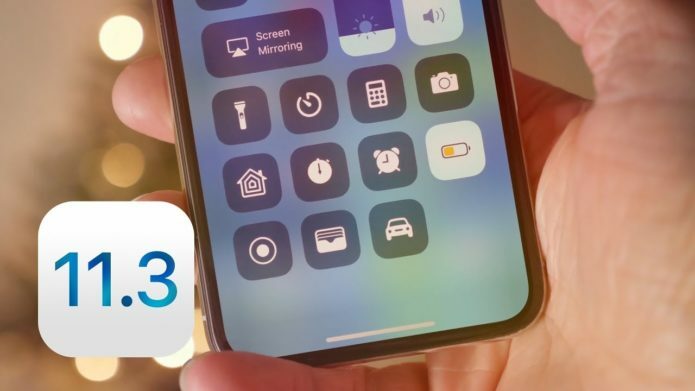 iOS 11.3 users are also complaining about severe battery drain, issues connecting to Bluetooth devices, problems with various applications, and sound issues. iPhone 8 users who got their screen repaired by third parties are also running into touch screen problems after downloading iOS 11.3. It seems aftermarket display have abruptly stopped working with the release of iOS 11.3. Apple hasn’t confirmed plans to release a fix, but those dealing with the issue are probably hoping they don’t have to wait until iOS 11.4 to get one. Apple hasn’t confirmed an iOS 11.3.1 update yet, but given how many issues have sprung up after the iOS 11.3 release, there’s a chance we get one before iOS 11.4 arrives. Be on the lookout for an iOS 11.3.1 release during the week at 10AM Pacific as we push toward the release of iOS 11.4.